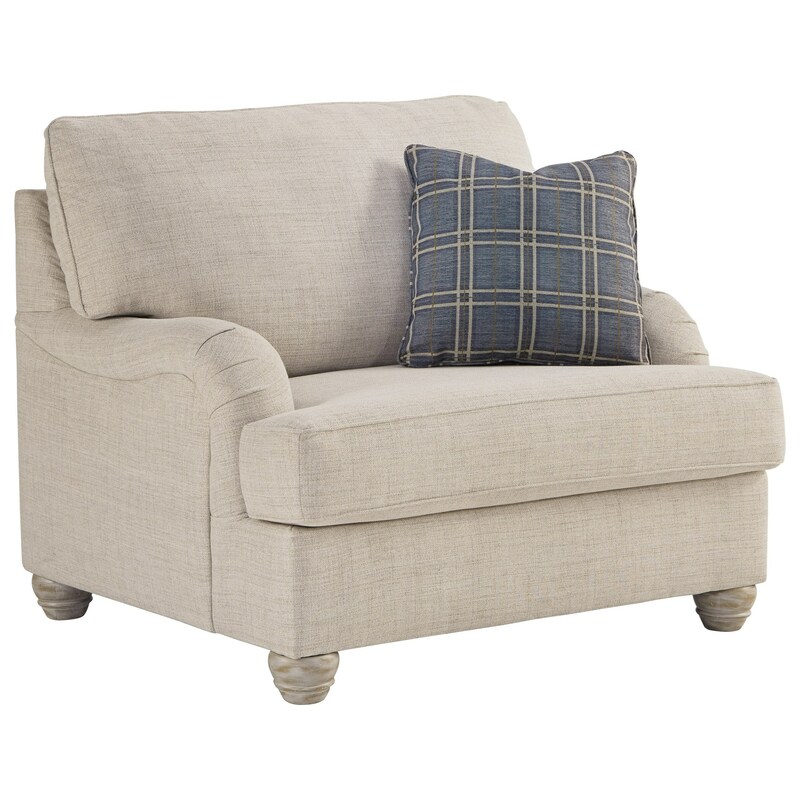 English arms and bun feet contribute to the timeless style of this transitional chair and a half. The neutral fabric makes it easy to pair with the look of any living room, and the included pillow offers a pop of color and additional comfort to the already soft and welcoming design of this piece. The Traemore Transitional Chair and a Half with English Arms by Benchcraft at Miskelly Furniture in the Jackson, Pearl, Madison, Ridgeland, Flowood Mississippi area. Product availability may vary. Contact us for the most current availability on this product. The Traemore collection is a great option if you are looking for Transitional furniture in the Jackson, Pearl, Madison, Ridgeland, Flowood Mississippi area. Browse other items in the Traemore collection from Miskelly Furniture in the Jackson, Pearl, Madison, Ridgeland, Flowood Mississippi area.